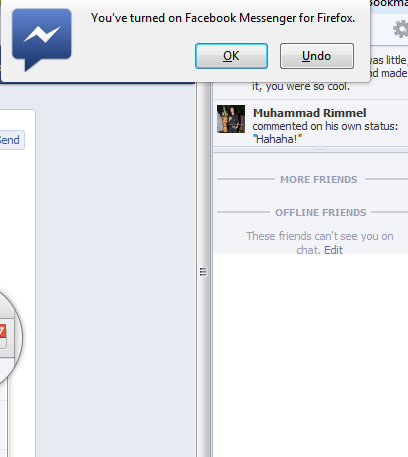 Facebook integration for Firefox is surely the next big thing around. Using it for a while, i must say that is one of the best and useful Firefox plugins ever made. With Firefox rolling out their new Social API to the developers world, Facebook was first to act by launching their Facebook plugin for Firefox that shows Pending friend requests, messages, notifications etc. It adds a whole new bar to the browser navigation bar. This very social API by Firefox would for sure boost it up in the Chrome-Firefox race world wide. Internet is divided among the Google Chrome and Firefox breed. 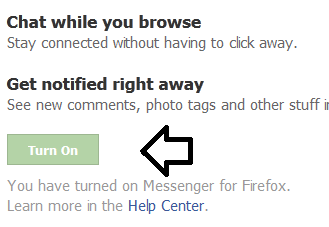 How To Install Facebook Firefox Integration? Navigate to Messenger-for-Firefox and make sure that you have the latest version of Firefox, that is 17. If not, you can download that from: Firefox 17 Download. Once done, hit 'Turn On' on the above link 'Messenger-for-Firefox'. Once done, it would show up a message as shown below with the final product. Amazing huh? 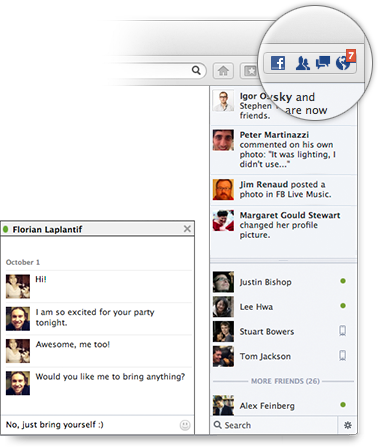 Really loving the new Firefox plugin for Facebook messenger. Hope that many new updates would be comings as we go along. Have you installed the plugin yet?